Move in before April 30 and enjoy a half month free. Contact us to learn more! If you're looking for a brunch spot that offers something above and beyond your standard lineup of eggs and pancakes, The Loading Dock is that place. The eatery dishes out a medley of North American, Mediterranean, and Middle Eastern dishes around the clock, and its weekend brunch is no exception. Dig into the Louisiana duck hash, a mix of fried sweet potato, apples, arugula, walnuts, sage, and a sour cherry drizzle, capped with two over-easy eggs. 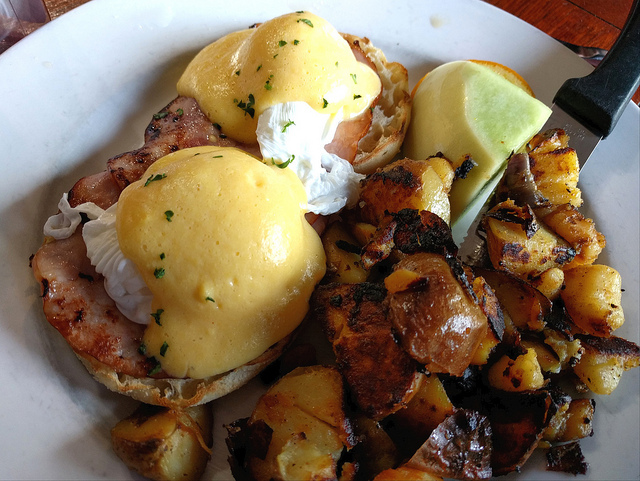 You can also try the Mediterranean eggs Benedict, which showcases a pair of poached eggs over grilled focaccia bread and prosciutto with sweet pea hollandaise sauce and parmesan crisps on top. The Loading Dock also serves up this type of inventive fare at lunch and dinner, so there's no wrong time to grab a meal here.